From the start, Missosology had already admitted that Miss International is a very difficult pageant to predict. Our final Hot Picks have received substantial amount of flak from Philippine fans for what was perceived a bias against Kylie Versoza for putting her at the 7th place and having Miss Poland Magdalena Bienkowska on the top. I can’t stress enough that we at Missosology work hard to be as objective as possible. We have people on the ground following the pageant closely meeting each and every girl. We tried our best to give them equal coverage no matter which country they came from. So, where did we go wrong? 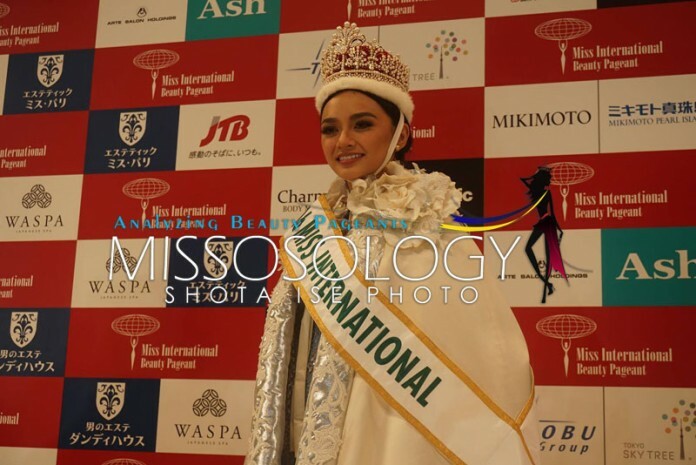 The reason why Miss International is difficult to predict is that the judging of the pageant goes beyond from what we see externally – that is, the pageant goes beyond the physical beauty. The pageant also does not have a preliminary competition per se. Each and every delegate are graded on the finals night adding more uncertainty to the competition. Imagine predicting a pageant without seeing the candidates in the gown or in their swimsuits. Above all, the final speech matters a lot and this is the killer punch. Clearly, Kylie prepared well for her final speech and her answer resonated well to the judges. I am aware of several conspiracy theories out there. It seems it is a standard fare nowadays in virtually any pageant. Obviously, the only happy country is the country that won but let me examine some of the nasty stories out there. Foremost among of them all is the state visit of Philippine President Rodrigo Duterte to Japan. 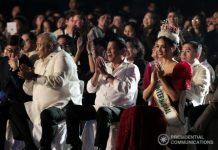 Some claim that somehow the president lobbied for Kylie Verzosa’s Miss International 2016 victory. As absurd as it may seem, that is the prevailing opinion in so many countries. So why it is absurd that the Philippine president is somehow instrumental to Kylie Versoza’s victory at Miss International? Well, it’s not only absurd but comical as well. Reason one is that we are talking about Japan here where honor and integrity matters way more than money and even one’s life. This is not some third world country wherein the easiest way to get things done is through money. Reason two is that Duterte who is known for his cussing/cursing is not that popular in Japan. If he had any influence, it would be a negative one. Third, I don’t think that beauty pageant is in the agenda with his state visit. There are more pressing problems out there to be ironed out. And lastly, the photo of Kylie with the President was actually a spur of the moment. Our correspondent in the event recounted that it was Kylie who chased the President way past the strict security to have the brief encounter take place. There was no formal meeting whatsoever. Kylie Verzosa stood out at Miss International 2016 in the most crucial part of the pageant which is the finals night. I would say that her bubbly personality and easy going attitude helped her a lot. I also believe that the Philippines sash carries a lot of weight nowadays and thus the fact that she is Miss Philippines is already an edge. As I have mentioned, her speech also was a homerun. I believe that there is a unanimous agreement among pageant watchers that she gave the best speech among the semifinalists. During our live updates we also mentioned that the largest contingent attending the event were the Filipino fans. Audience impact could either sway the judges or boost the contestant’s confidence. It was clear that Kylie Verzosa was one of the well applauded contestants. In overall, I would say that the victory of Kylie was a surprise. The lesson that any Miss International hopeful can get from this is that it pays to be prepared especially on the finals night speech. Every Miss International contestant knew from the start that there will be a speech but it seems to me more than half of the semifinalists were unprepared. My conclusion is that Kylie Verzosa won fair and square and despite having to face top notch opposition, her dedication and preparedness allowed her to shine through.